Land bought by John Dickinson to provide housing in Dickinson Square and Dickinson Avenue for the mill employees also offered a site for an additional school. Plans were drawn up and approved on the 6th December 1893. The building of the new school was completed the following year. This site was next to the Duke of York, a public house on the Watford Road, and close to the original school in Yorke Road. 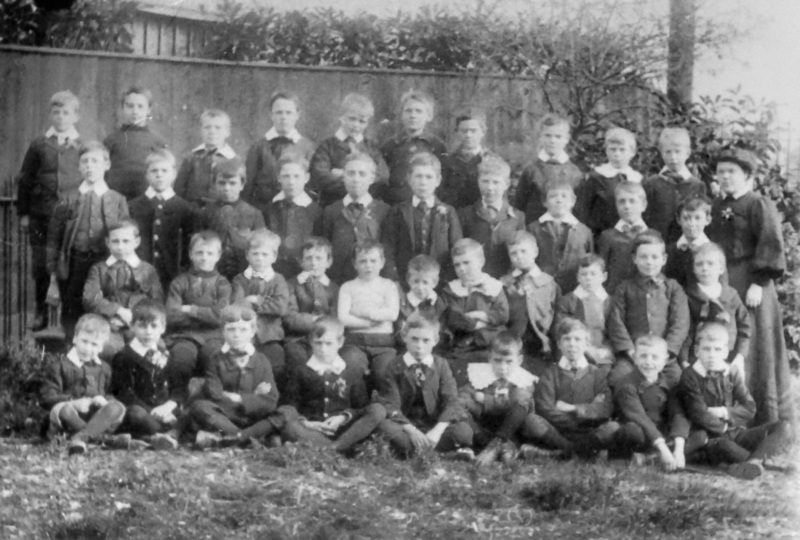 The school would be used to accommodate ‘older’ boys of seven years and above. There was an official opening on Monday 15th October 1894. School managers, parents and friends were present. The Rev Astley Roberts, Vicar of Croxley Green All Saints Church, conducted the special service and the Vicar of St Mary’s Church Rickmansworth gave a special address. Mr. Alfred Walter Stratton-Hanes, a twenty-nine-year old teacher from Kings Lynn, was welcomed as first Headmaster. His previous experience included his training at All Saints School, Kings Lynn and a post at St Augustine’s School, Kilburn. Assistant teachers were Miss Kate Lewis and Miss Kate Dixon. To celebrate the occasion each boy present was given a ‘bun’. To defray the cost, a collection was made from those present. Finally, three hearty cheers were given for the managers of and all subscribers to the ‘New Building Fund’. 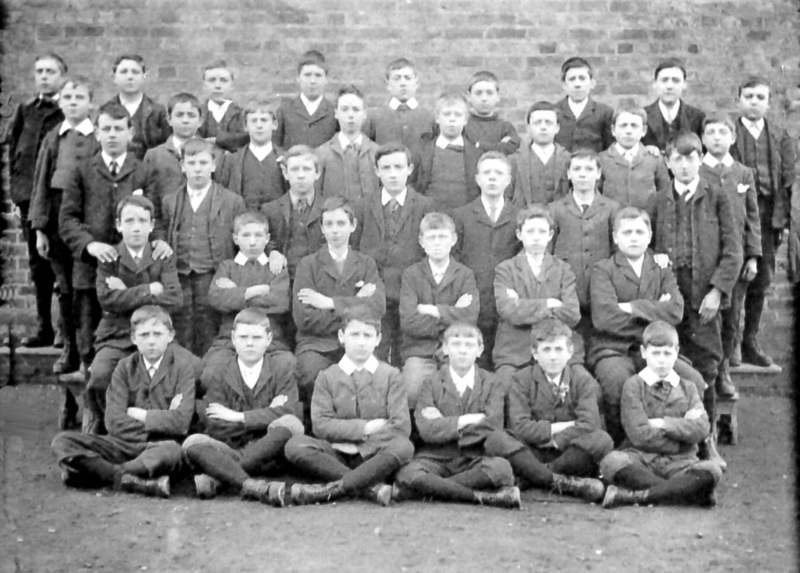 Lessons began the following day, 16th October, with 121 of the127 boys registered present on the day. 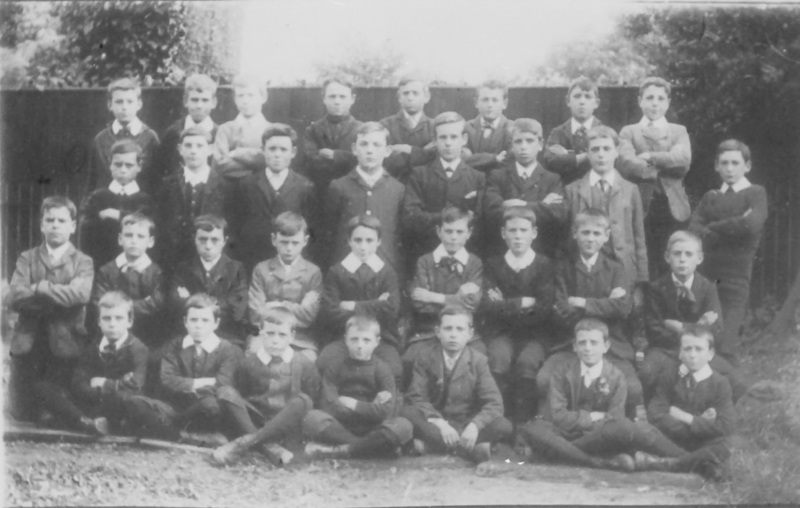 Locally the school has always been referred to as ‘The Old Boys' School’. Mr. Hanes, who later became the choirmaster of All Saints Church and was an accomplished organist, continued to develop the boys’ education. 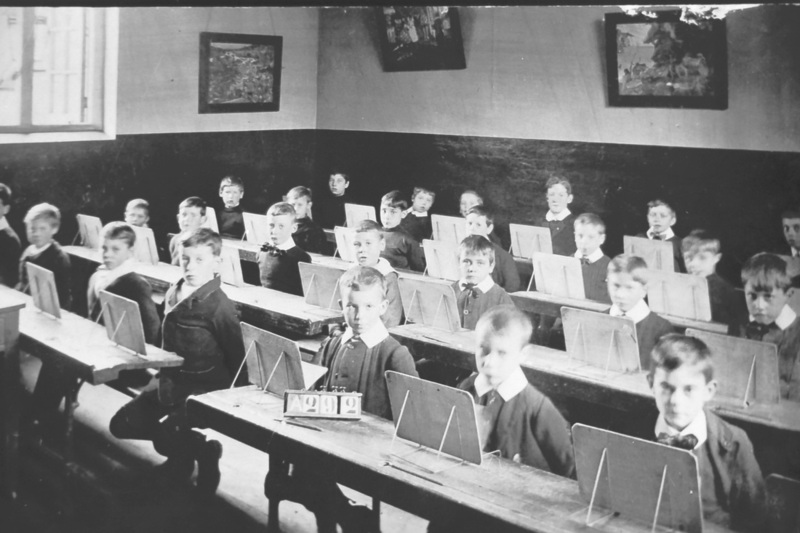 New subjects were soon introduced with a comprehensive syllabus to include Mental Arithmetic, Grammar, Music, Recitation, and Drawing and in particular Geography by which he hoped to extend firstly their knowledge of England and Scotland. 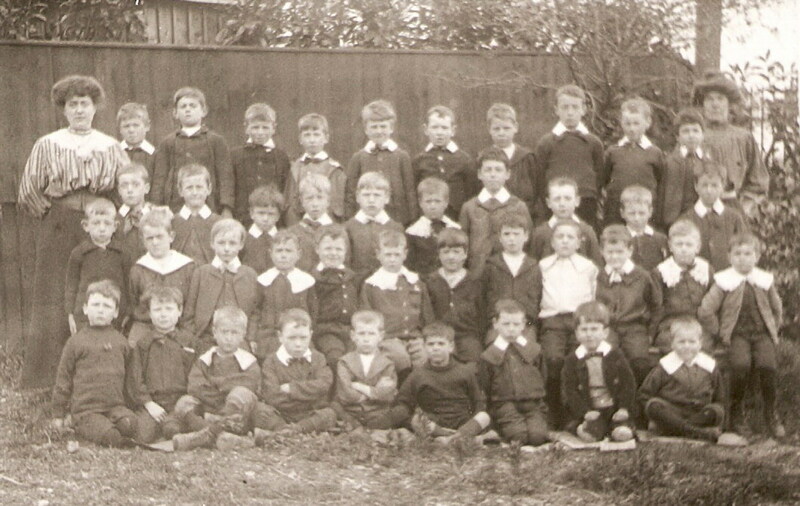 Attendance was closely monitored and if several boys were absent at one time the fact was investigated. On one occasion it transpired that boys were illegally employed by a ‘Gentleman’ on one of his ‘shooting’ days. These boys were probably paid to assist with the ‘beating’ during a pheasant shoot. The miscreants and their parents were severely warned that taking time out from school was totally unacceptable. Sometimes this would also happen when it was ‘potato picking time’ on the farms. Some parents would keep their children from school to work in the fields. The wages would help with the family finances. 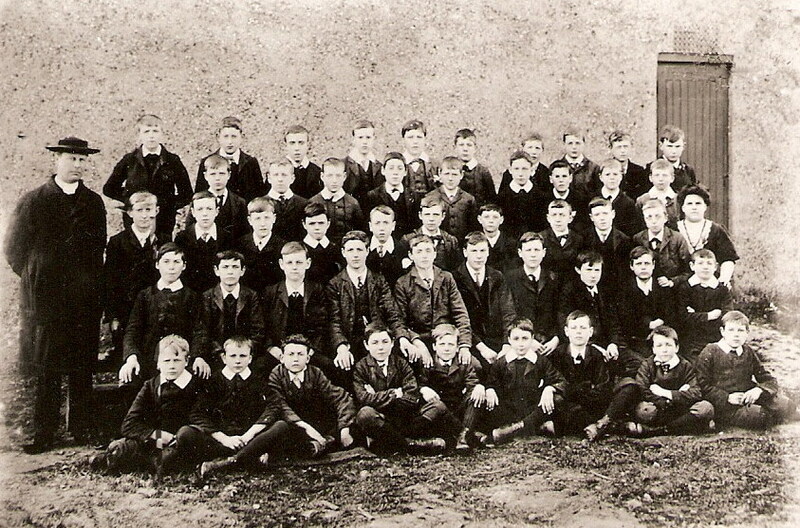 It was decreed that each boy would remain at school until attaining the age of 13 years. However, it was the case that some parents removed their children earlier. Mr. Hanes would report such incidents to the authorities and he was often disappointed when no action was taken. The School Log Book records that a boy who had been absent from school for two weeks with a medical certificate for debility had been seen on The Green in his shirt sleeves playing football! Mr. Hanes appears to have set high standards. He encouraged the boys to take an interest in developing a comprehensive knowledge of matters outside Croxley Green. 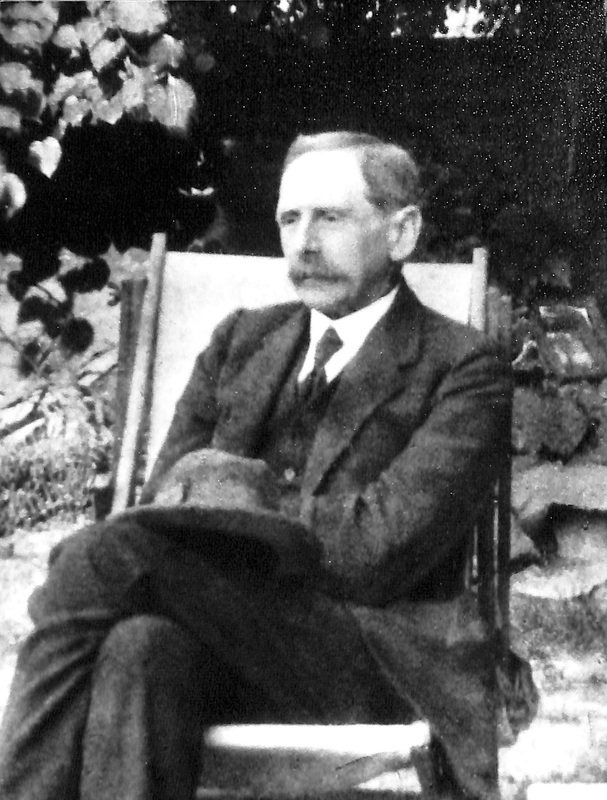 He introduced the reading of daily newspapers and acquired maps of the British Empire. A lecturer in History at Cambridge University was engaged to talk about ‘The Growth of the British Empire’. The John Dickinson Company supported the school by supplying teaching aids including a case of specimens illustrating the process of paper manufacturing. Outstanding achievements were also recognised and logged. A pupil who took his Standard 7 school exam passed the test for a position as a clerk at Euston Railway Station in London. Within two years of his Headship, Mr. Hanes became acutely aware that the school building was not large enough, nor were there sufficient teachers. He was finding it impossible to run the school as well as to teach. In order to alleviate the overcrowding, the boys took their reading lessons in the playground on fine days. At a managers’ meeting in 1898, Mr. Hanes raised the question of the enlargement of the school premises. In spite of such difficult conditions, Mr. Hanes continued to encourage the boys. He supported the football team’s application to join the Watford Schools Association, as the boys practised regularly on three afternoons a week as well as Saturday mornings. 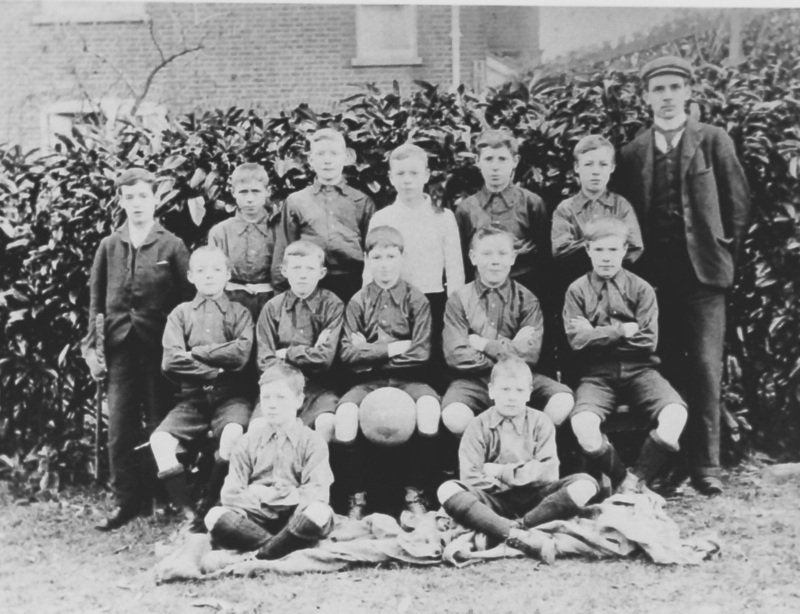 On 7th December1900, the team won their first league match playing against Watford National School. That same month, Miss Dixon left the boys school and was replaced by Miss Laura Horne, previously a teacher at St John’s School, West Hendon, North West London. Mr. Hanes, the first Headmaster of ‘The Old Boys’ school’ resigned his position on 28th June 1901. The following week, on the 1st July, Mr. Henry T Wilson, former Headmaster also of St John’s School, West Hendon, took up the Headship. 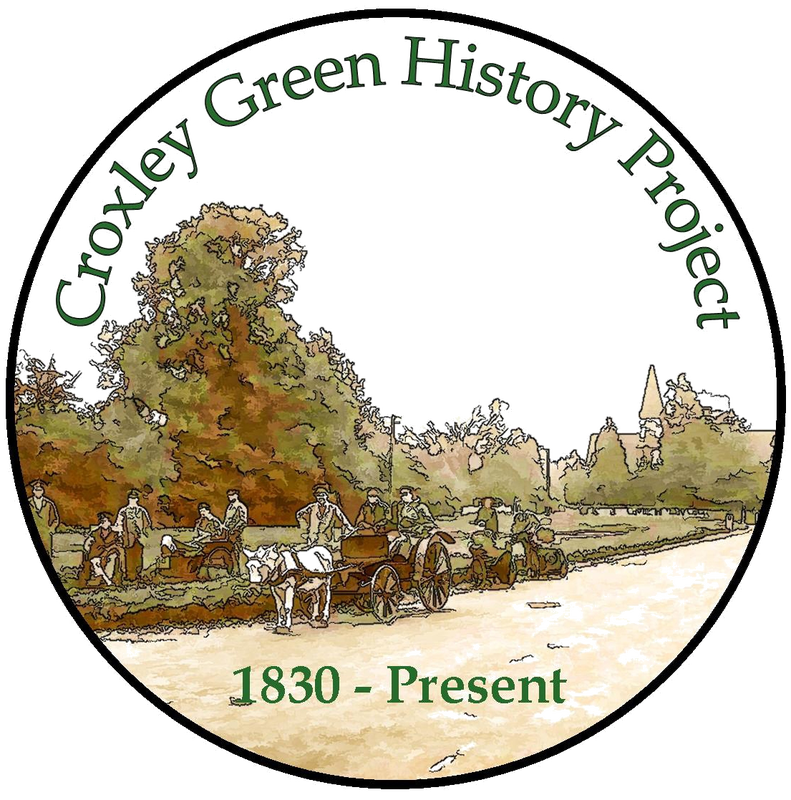 He was to influence much of Croxley Green’s future. To many he became known and eventually fondly remembered as ‘Neggy Wilson’. For many years local residents were unaware of his actual Christian names. When he was Headmaster of the boys' school two of his sisters were living with him at 37 New Road. He then moved to Haisboro, 1 Old Barn Lane. Neggy died in 1952 in his early 80's. 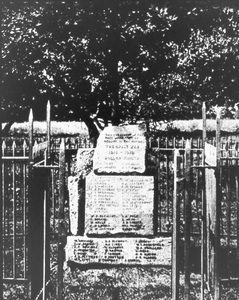 A memorial seat was erected under the Commemorative Jubilee oak for King George V.
Neggy Wilson supported and improved village celebrations of important national events. In 1902 there were peace celebrations following the end of the South African (Boer) war. In celebration of the coronation of Edward VII, following the death of Queen Victoria, each child was given a decorated Coronation mug. Annually, in celebration of Empire Day, the National flag was hoisted on the flag pole in the playground. The boys would assemble around it and salute the flag. On such occasions the senior girls were also involved. In 1904 Miss Stanford was appointed as an assistant teacher, she passed her exams the following year. 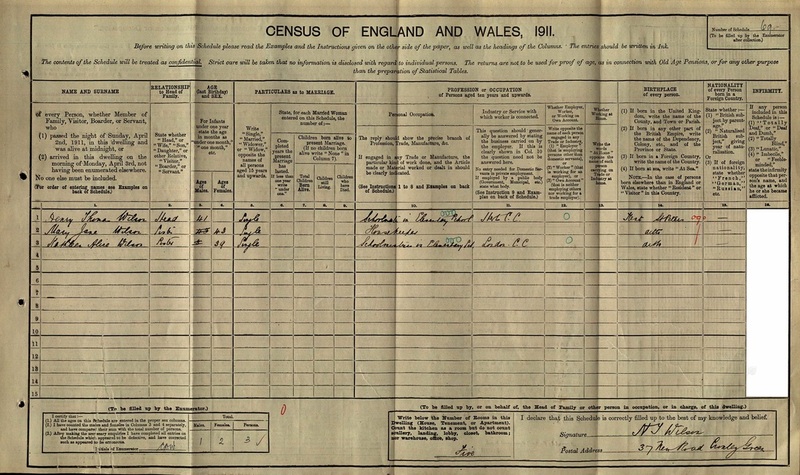 The 1881 census reveals his father William was a retired Greenwich Naval pensioner, 56 years old born 1825. His mother Sarah Ann 42 years old born 1839. The family lived in Belmont Cottage, St Peters, and is listed as a General shop. 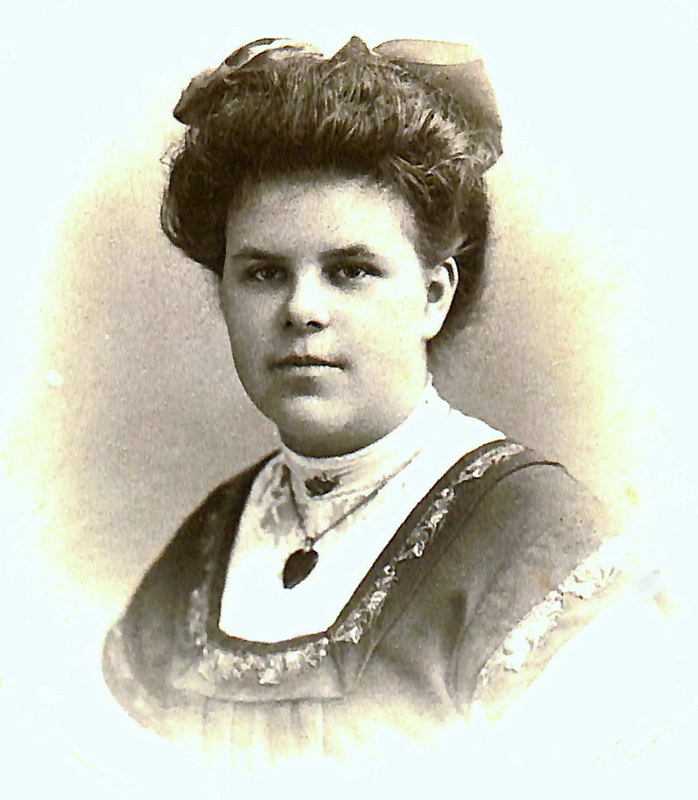 Sarah Ann a younger sister became an assistant teacher and married William Golder Fry in 1906. They had two children Lewis William Fry born 1908 died 1982 and Margaret Annie Fry born 1909 died in the 1990's. Lewis was also a schoolmaster and for many years lived at The Orchard off The Green. Both remained unmarried. Miss Margaret Fry lived for a while in Rose Cottage, The Green. Sports for the boys now included climbing as well as swimming lessons at the Ebury Road swimming baths in Rickmansworth. School prize giving days took place in the Dickinson Institute. Hertfordshire County Council contributed towards the prizes, some of the children received watches in recognition of uninterrupted attendance over a period of five years. 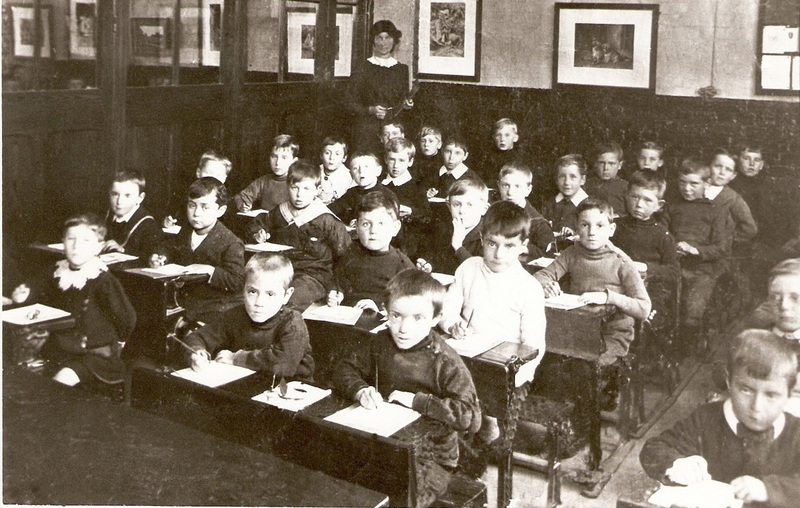 In 1908, due to increased numbers, the school was yet again working in overcrowded circumstances. Neggy Wilson introduced the boys to cricket with the intention of forming a team. Caius College, Cambridge, who owned The Green at that time, gave permission for its use as a cricket field. A suitable site was identified and a rough cricket ‘square’ was marked out. Gradually this area was improved and eventually formed a playable ‘square’. Weather permitting, the boys were regularly tasked with treating the grass. Much rolling and mowing was inevitably required. As punishment for misbehaving in school, boys were often sent after school to remove weeds by hand using their penknives. The John Dickinson mill provided a suitable roller, for the use of which the school paid one shilling annually. For many years this useful implement was to be seen on the far side of The Green. Consecutive owners of Little Gillions helped too, by housing the nets and the mowing machines. They also loaned tools, and on warm days provided drinking water. An annual match held in July was arranged with Chipperfield School. After attending school in the morning, the team would walk to Chipperfield. They carried with them a tin bath which contained their teatime sandwiches for a picnic on Chipperfield Common after the match! 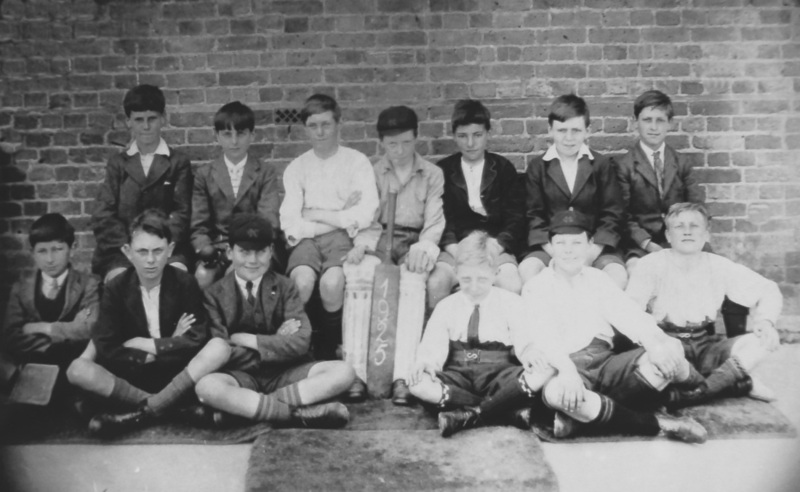 The Rev C Donnell, who became vicar in 1899, assisted with cricket lessons after school between 4pm and 5pm and those boys not involved with swimming lessons were asked to lend a hand with mowing the cricket field. 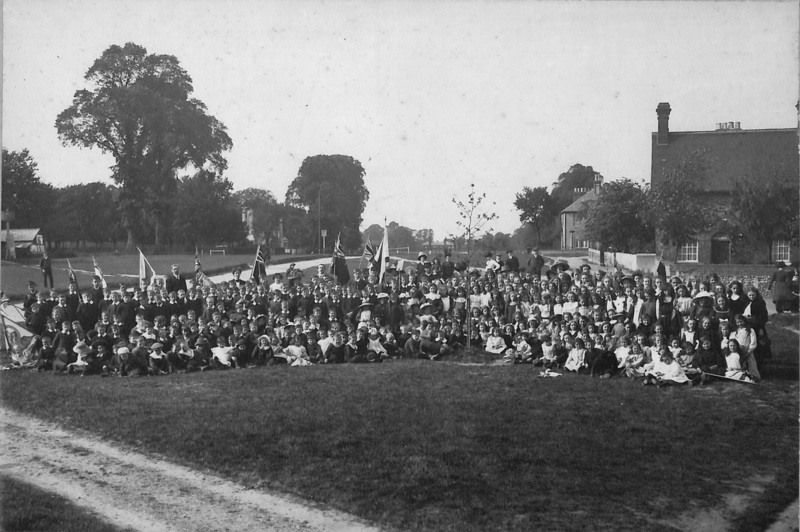 On the 22nd June 1911 there were celebrations following the coronation of King George V. Charles Barton-Smith presented to the school a new set of flags representing those nations belonging to the British Empire. An oak tree was planted on The Green on 12th December, in accordance with a custom dating back to Queen Victoria’s reign. Children collected £3 towards the cost of the tree and suitable protective fencing. Neggy Wilson took several boys to visit Westminster Abbey on 10th July to observe the setting where the King had been crowned. Their outing also included a visit to the Tower of London. Events such as this could be attended by travelling by train. On another occasion, six boys and Neggy Wilson went to see Shakespeare’s Julius Caesar being performed at Her Majesty’s Theatre in London, a play the boys were studying at school. A small meadow behind the school had been used for school activities and sports. In 1913 it became necessary to build upon the land. Thereafter, school football and other sports were held on the John Dickinson sports field. At this time it was located opposite the Red House public house on land leased by the company. When plans were agreed to construct the Metropolitan railway extension from Moor Park to Watford Park station in the 1920s this land was required and the company transferred the sports facility to its present site off The Green. In the winter time ‘slides’ on the boys’ playground would bring squeals of fun even on the coldest days. A bucket of water would be thrown down the slide and left to freeze whilst the children did their school work, ensuring an adequate amount of ice for the next playtime. Miss Stanford took advantage of the facilities available at the Institute and there taught handicrafts including model making and paper folding (origami). She was very popular with the boys but in 1915, when the Headship vacancy arose at the older girls’ school following the retirement of Miss Aricie Clark, Miss Stanford was offered and accepted the post. On her departure the boys presented her with a clock. 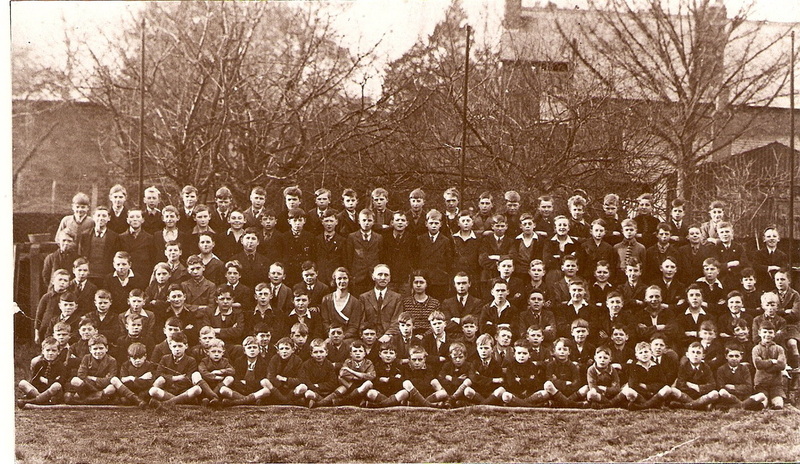 The Institute became a VAD hospital in WW1 and the scholastic activities held there returned to the school premises. At Christmas time, it was customary for the boys to make their own amusement. They made a stage and presented various forms of entertainment. 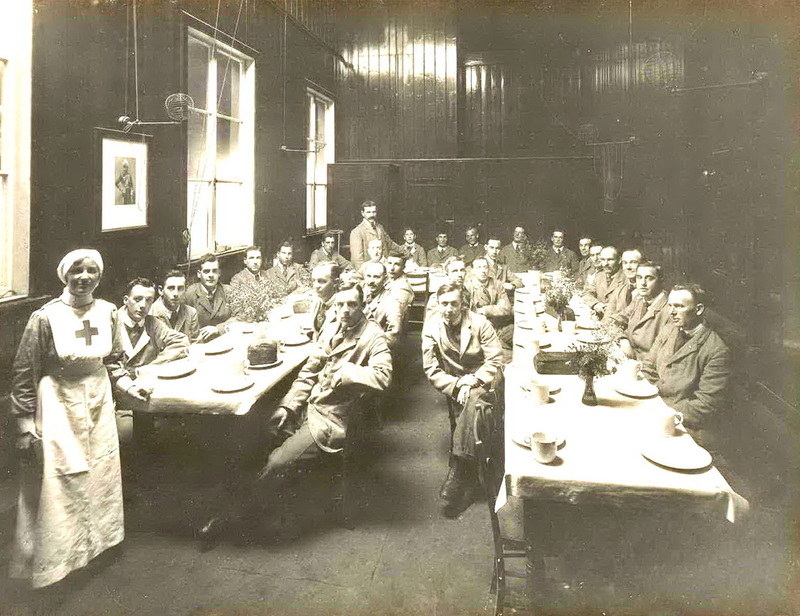 This social event was very popular and invitations were sent to the wounded soldiers at the VAD hospital. The boys encouraged them to join in the community singing. It became traditional for Neggy to read Charles Dickens’ ‘A Christmas Carol’ during the last week of the Christmas term. A school garden was started on vacant land close to the school, not yet designated for building purposes; trenches were dug to enable the cultivation of an area in readiness for the growing of vegetables. The aim was to send the produce to the VAD hospital thereby providing fresh vegetables for the wounded patients. 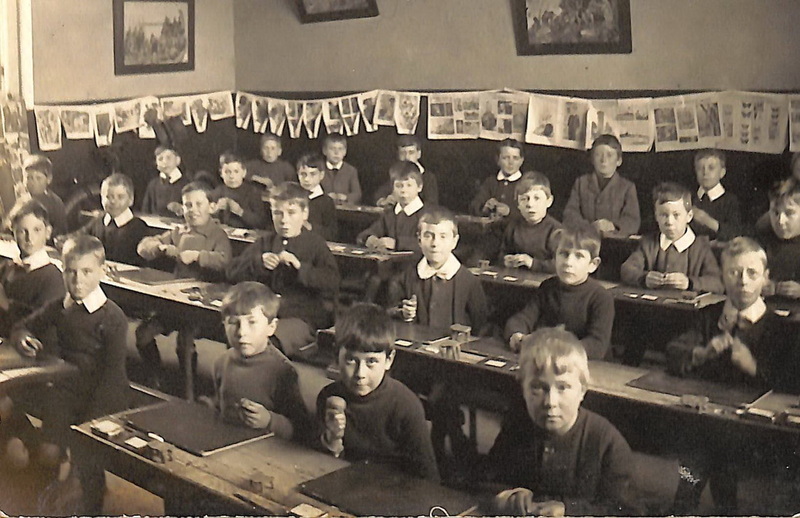 The school was particularly pleased to ensure that there were brussel sprouts for the Christmas dinner each year. A record was kept of the quantity of vegetables grown. Following one particular harvest, 15cwt of potatoes and in total 130lbs of beans, turnips, onions, pumpkins, marrows, carrots and sprouts were sent to the hospital. Neggy was particularly proud when he was informed that several ‘old boys’ had been awarded the Military Medal for bravery. The school also gave concerts in the large school room to raise money for the Red Cross funds. However, the relationship between the school and the VAD hospital did not always run smoothly. At play time and after school the proximity of the school to the hospital meant that the noisy exuberance of the pupils disturbed the peace and tranquility so essential to successful convalescence. A meeting was held between the two organisations and the immediate vicinity of the hospital became out of bounds to the boys. A pupils’ committee resolved to ‘police’ the agreement. A notice outlining this resolution was sent to the parents of boys between the ages of 14-17 seeking their co-operation. The school log book records that the committee ‘met and tried two boys’ who had been playing during the evening in the vicinity of the hospital. The hospital was informed and the school received a letter from the commandant thanking the school for dealing with the matter. The report made no mention of the punishment. Neggy Wilson was particularly enthusiastic that the boys should support the ‘war effort’ during this period. In response to a Government request, they collected chestnuts and acorns during the autumn time. These were subsequently fed to pigs in preference to food waste as this was discouraged. On the 11th November 1918 news of the Allies’ defeat of Germany reached Croxley Green and the sound of the church bells in Rickmansworth confirmed the end of the war. This gave rise to immediate celebrations. Charles Barton–Smith insisted that the school flag be hoisted without delay. 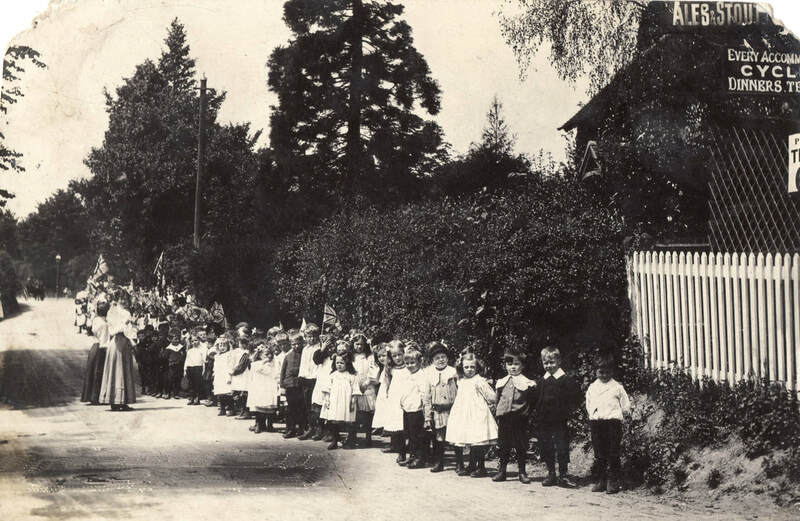 Giving spontaneous cheers, children of all ages together with their teachers processed from the school to the church. The national flags of Canada, Australia, New Zealand and India were displayed. The National Anthem was sung. The procession then made its way to the VAD hospital. There, the wounded soldiers were invited to express their feelings at the great news. The procession eventually made its way around Dickinson Square into the Watford Road to the Red House. They returned via New Road to the Square and along Dickinson Avenue back to the schools. Meanwhile, school activities continued to expand, including taking part in the Watford and District Schools sports events. The pupils of the school were divided into two ‘houses.’ They competed against each other in an annual relay race. The race circuit included The Green, New Road, Yorke Road to All Saints Church. Sometimes as many as 100 boys took part. Another annual event was of a ‘Tug o War’ competition between the older boys and the older girls. Sometimes the girls won! The following year the village made preparations for a peace celebration and a special committee was set up to decide upon what form this would take. 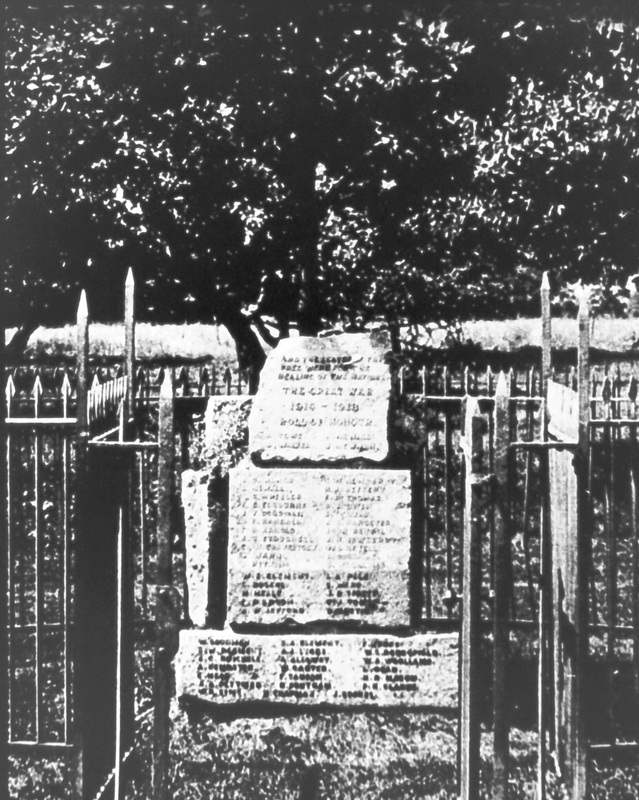 Prior to 11th November 1919, a memorial site on The Green was agreed and the boys of the school set about preparing to plant an oak tree as a memorial to the fallen. A suitable sapling was purchased from Berkhamstead. Protective railing was ordered and donations from the village provided the necessary finance. It was decided that each child would be invited to dress in the style of an historic era of their choice. The first anniversary of Armistice Day was celebrated at the church. A laurel wreath was placed at the foot of the memorial tree followed by a ceremony. The boys had decorated the fence with sprigs of laurel. Two ‘old boys’ who had served in the war played ‘Reveille’. The ceremony was to become an annual event and for many years the same two ‘old boys’ played the traditional closure. Again the school was becoming overcrowded. 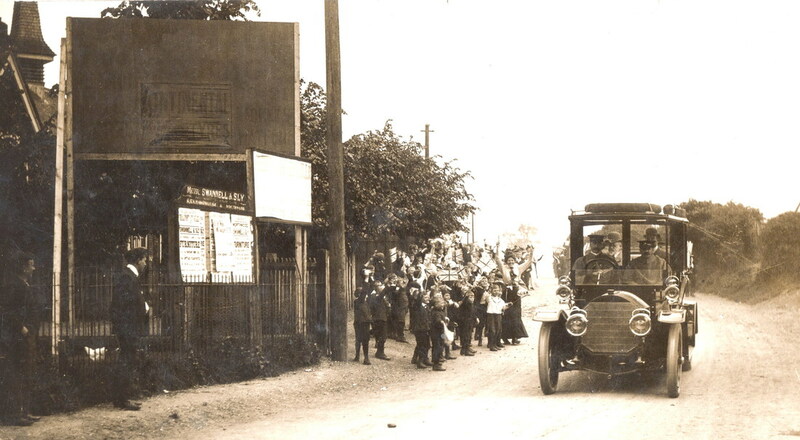 Temporary wartime accommodation had been provided at the sports pavilion. However, it was considered desirable to move closer to the school. Accordingly, a military style accommodation hut was erected in the school playground providing a much needed classroom. It was about this time that consideration was given to adopting a school uniform and initially eighteen dozen caps were obtained from a supplier in St Albans - navy blue with a yellow button on the crown and piping. These could be purchased for 2 /7½d each. Many village customs of today were introduced by Neggy Wilson. 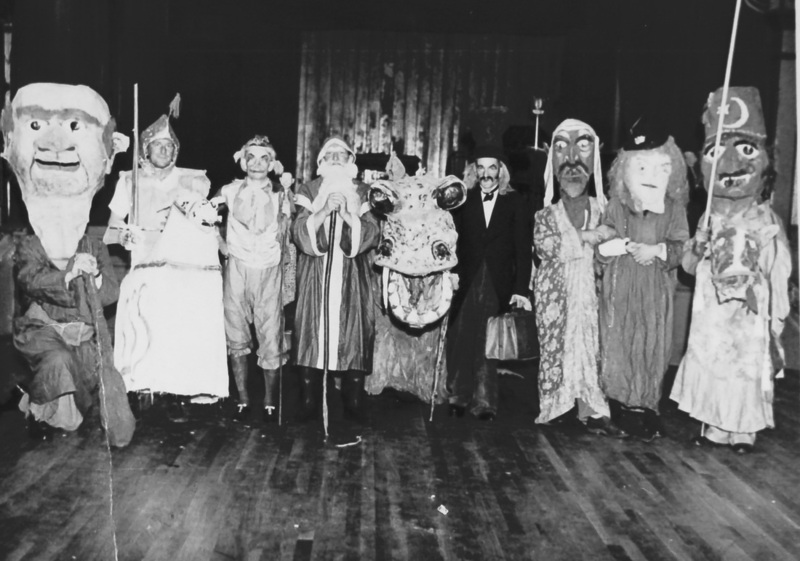 He gathered together a troupe of older boys who performed a version of St George and the Dragon and were called The Croxley Green Mummers. Their performances became a traditional feature of numerous events that took place in the village and continued for many years. 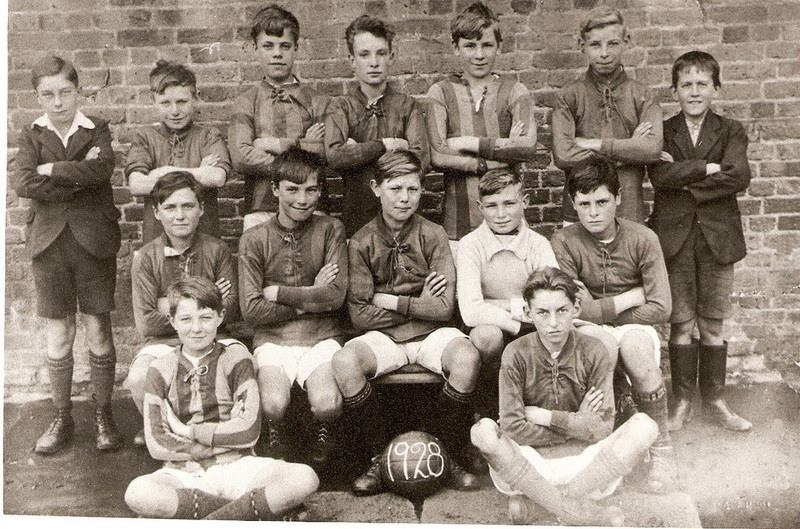 A football team the, ‘North End Boys’, had been formed for some time and the team originally had an informal football pitch off Copthorne Road. The land however was repossessed by the landowner of Copthorne House as he wished to create a miniature ‘Golf course’ for his use. Neggy Wilson arranged for the provision of a new football pitch. Goal posts were obtained from Walkers boat yard in Rickmansworth where canal narrow boats where made. At this time narrow boats were used intensively for transporting goods and commodities up and down the canals. John Dickinson used this form of transport to receive his raw materials etc as well as to deliver finished goods. 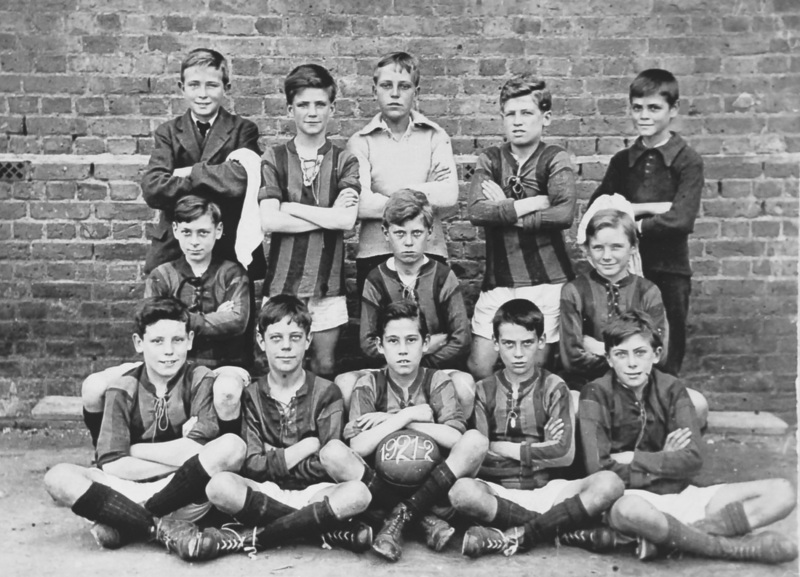 Whenever new goal posts were required a group of boys would be sent to fetch them from the yard. On one such outing a particular group found them to be rather heavy to carry especially as they had to walk up via Scots Hill to Croxley Green. They decided to tie the posts together and float them on the canal to the lock at Croxley Common Moor. This clever idea meant there was but a short walk along the Watford Road to the school. Encouraged by Neggy Wilson, the boys entered the Watford and District swimming competitions and the inter schools sports. His final day at school was 20th December 1934. At 4pm all the boys and staff assembled in the main room for his farewell assembly. Hymns were sung and the end of term prayers said, closing with the ‘Lord’s Prayer’. Neggy Wilson said ‘Goodbye’ and handed the responsibility for the school over to Miss Sleight who would take charge until a new head arrived in January 1935. Neggy Wilson wrote in the school log book that he had found great happiness in his work as Master of the school and relinquished it with great regret. He felt his failing powers were telling him it was time to move on and make room for a younger man. 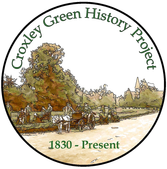 He acknowledged the co-operation of the vicars, namely Mr. Donnell and Mr. Wells, and also of Charles Barton-Smith who had helped in many ways such as allowing the use of The Guild of Sports playing fields on schooldays and Saturday mornings. During his time as headmaster Neggy had moved from his home in New Road to a house just off The Green called ‘Haisbro’ 1, Old Barn Lane, which he shared with his sister Kathleen, and from there he continued to be involved in village events long after his retirement. Mr. Jeffery was appointed Head of the school until 1939 when a mixed senior school, Durrants Secondary Modern, opened in Manor Way. Boys aged 11 years were transferred and Mr. Jeffrey was appointed its new Headteacher. Hertfordshire County Council Education Dept took over the control of the ‘Old Boys’ School and it was used for many years as a Further Education Centre for adults. This was an opportunity for local residents to either join a group or learn new skills that they may have otherwise missed especially during the years of conflict in Europe. On offer were courses such as Current Affairs, Local History, Practical Art/Drama, Natural History of England as well as the prospect of making visits to places of mutual interest. Other subjects were also available at Durrants School and the Guildhouse. The building was later chosen by H.C.C.E.D as a centre for children with special needs and it was known as ‘Sherwoods’. However, by the 1990s a decision was made to close the school and the children were transferred elsewhere. For some years its future was debated, but in 1997 this fondly remembered ‘seat of learning’ was demolished and replaced by a complex of modern apartments named Magister’s Lodge, from the Latin name for schoolmaster.